There is nothing fulfilling like having beautiful and attractive upholstered furniture at your home, especially during holidays like the Hari Raya festivals. Typically the majority of the Singapore population will want to have their home furniture to be sparkling both before, during and after the celebrations. Unfortunately, such conditions are hard to maintain especially during the holidays since the home upholstery will be subjected to spills from the food and drinks that will be consumed and not to forget dust and other sorts of dirt. 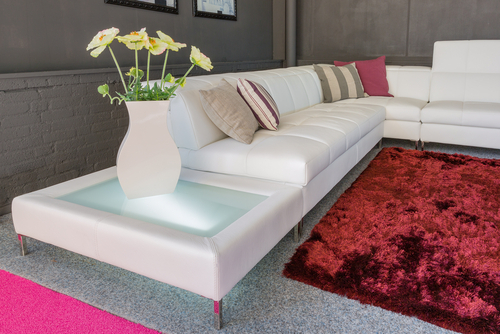 Depending on the type of food or drink, different types of stains will develop on your beautiful upholstery. However, this should not worry you at all since I will give you tips on how to clean your upholstery this Hari Raya. Since these items are also to be used in the future, it’s advisable to put in place a favorable cleaning process that will ensure that they stay looking good. For starters, the material of the upholstery that you intend to use this Hari Raya should be relatively easy to clean and care for. Starting with the right fabric will make a huge difference. 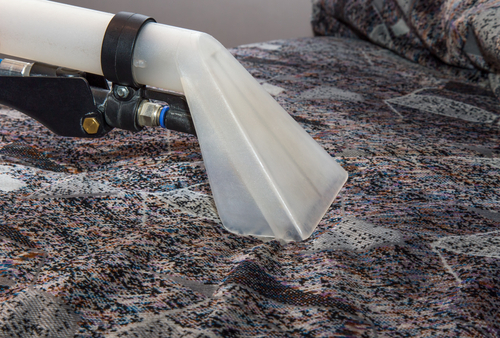 The easiest way of keeping your upholstery looking good is the implementation of a regular vacuuming routine. This exercise will help you to get rid of any grime and dirt before it is ingrained in the fabric. Dirt and dust accumulate at a very alarming rate and should, therefore, be dealt with swiftly. For effective vacuuming, you can use the attachment on your soft brush to gently whisk away the dirt from your cushion. The crevice tool, on the other hand, can be used to penetrate all tight corners and spots. When your upholstered furniture develops stains and spots and starts looking dingy, you are supposed to vacuum it before carrying out any other cleaning process. You are strongly advised to vacuum since in so doing; you will be able to lift up dust and dirt which when wet will further sully your upholstered furniture and contribute to your cleaning woes. Another important tip on how to clean your upholstery clean during this Hari Raya is- ensuring to clean up stains and spills immediately since this is the perfect way to deal with them before they have an adverse effect on the look of your beautiful furniture. Spills, especially during festivals, are inevitable no matter how careful you will try to be so as to avoid them. In case they occur, gently blot them and DO NOT scrub or rub the spills. The blotting should be done immediately using a paper towel or white towel. In so doing, you will be able to prevent the stain from sticking into the fabric. If the stain needs more than a subtle dab, Spot clean according to the instructions on the manufacturer’s tag. Always make a point of testing your cleaning products in an inconspicuous area before you use them on your upholstery. After you test the cleaning products and find them good to go, apply them on the spill with a soft brush in a circular motion. This will ensure that you work into the fibers. After the stain removing the stain, vacuum the upholstered furniture dry. However, in case the stains are stubborn to remove, do not hesitate to call the experts. Professional cleaning will definitely restore the comfort and beauty of the fabric. Always leave the heavy and stubborn stains to the experts. One thing that you are supposed to note is that different types of cleaners are meant for different materials. Well, if your upholstery is made of synthetic material, then count yourself lucky since this is the easiest fabric to clean. However, still, take a look at the tags to identify the type of furniture cleaning agents that should be used since you cannot clean all synthetic fibers in the same manner. Generally, any water based agent will work on these materials. When you have a combination of materials i.e. synthetic and natural fabrics, you are recommended to get professional assistance since such materials require special treatment from trained professionals. These are relatively easy to clean and maintain since dirt and dust typically remain very loose in the furniture. Vacuuming quickly cleans these types of upholstered furniture. If you were wondering how you can clean and maintain your upholstery during this Hari Raya festival, then you have come to the right place. Cleaning leather materials involves different processes. Typically, you will need to get a leather upholstery cleaning agent and some leather conditioner. These two will give you remarkable results. Now, I am sure that I have given you enough tips on how you will clean your different upholstery this Hari Raya. Always never forget to check the tags since they give you the general instructions on how you should go about when cleaning your furniture. Stick to this tips and you will have remarkable results. Have a happy and blessed this Hari Raya.